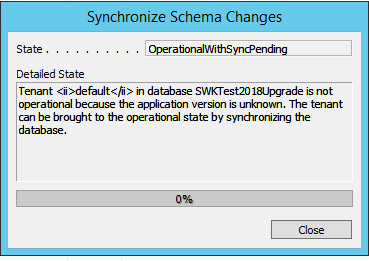 If I run from Powershell (Sync-NavTenant DynamicsNAV110-2 -Mode CheckOnly) I get nothing. It executes the command with no error. Ignore this. This is a normal message as I was supposed to be running this in With Validation (Sync) mode. After you sync for the first time then you can use Check Only.